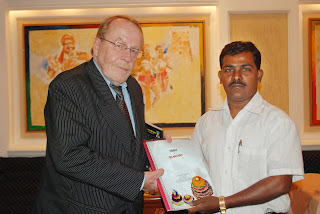 Mr. Sven Jurschewsky, the Canadian High Commissioner had invited the President of the Writers Guild of India and Nandi award winner Mr. Venkateshwarlu Bulemoni to discuss the present situation of Telangana and the Telangana movement. 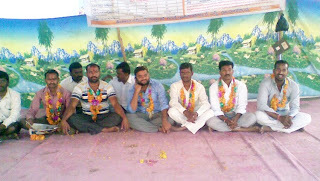 WGI member Mr. Vishnu Vardhan M also participated in this meeting. 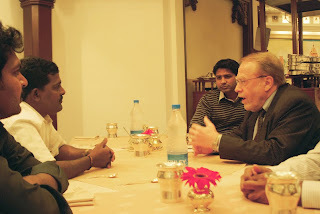 The venue was ITC Kakatiya and the Canadian High Commissioner came at the appointed time. 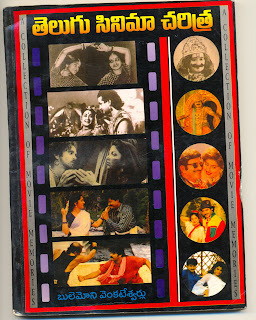 After the initial introductions, the discussion ventured into the film business in Andhra Pradesh and the impact of the separate state movement on the industry as a whole. The High Commissioner expressed his concern for Canadian businesses, especially in view of the sporadic violence across the state. 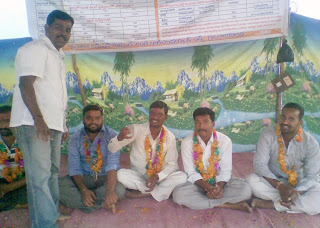 He was given assurances that the Telangana movement is not against the business interests of Canada or for that matter the business interests of any other country or region. 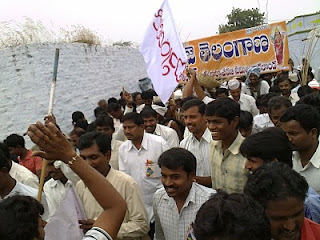 The movement has been initiated against the discrimination and prejudice of the people of the Andhra region and for the rights and equal representation of Telangana in culture, administration, business and opportunities. During the discussion, the Canadian High Commissioner elicited the example of the Nigerian film industry and its business model and it was one of the vital points of discussion. He explained how Nigerian films are breaking ground and profiting in Africa and the Afro-American Diaspora in the Americas in spite of their scale, budgets and technical strength or the lack of it. He said the same business model could be replicated in Telangana if a separate state hampers the industry and its revenue. The High Commissioner also expressed his empathy for the cause of Telangana as he himself could identify with it as he was from Quebec where there is a similar situation. 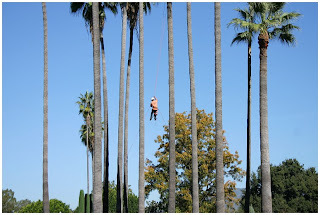 He said he understood the predicaments that come with cultural and socio-economic independence. At the conclusion of the meeting the High Commissioner was presented with the white paper “Voice of Telangana” and he wished the Telangana movement all the luck and success. 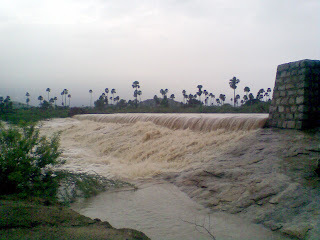 Charakonda is a big village and a big business place in Vangoor mandal of Mahbubnagar district. 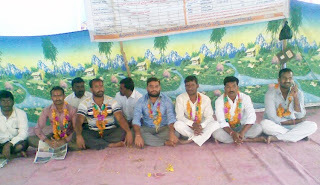 One Ward member’s council is thete in Charakonda village of Mahbubnagar district in Andhra Pradesh, India. 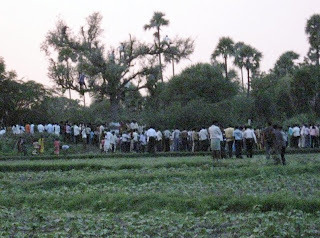 The village specializes in Palm wine (Kallu), which is famous in entire Telangana districts. Charakonda is located at 16°44′N 77°30′E16.73, 77.5. It has an average elevation of 431 metres (1,414 feet). 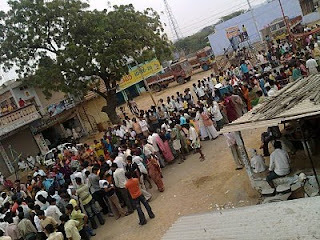 As of 2001 India census, Charakonda had a population of 10,000 plus. 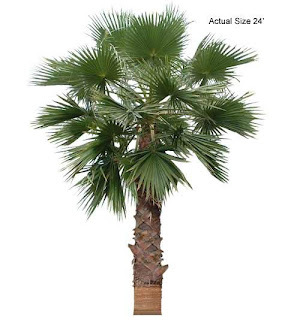 Males constitute 50% of the population and females 50%. Charakonda has an average literacy rate of 62%, higher than the national average of 59.5%: male literacy is 67%, and female literacy is 49%. 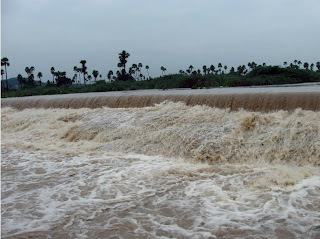 In Charakonda, 12% of the population is under 6 years of age. 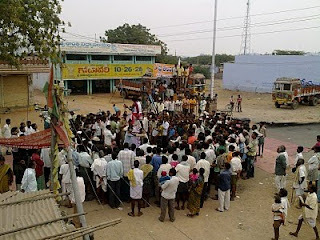 Telugu are primary language for communication. Several people they speaks Urdu also. 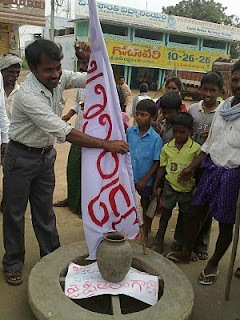 Now trend has changed medium of communication in schools is now Telugu and English. 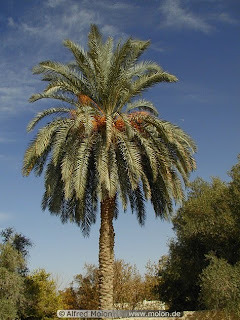 Primary source of income for people is through Palm wine. 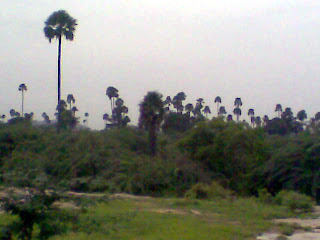 Because of more than thousands palm trees are located in Charakonda and its surroundings. Now, young generation is leaving the state capital and other states inclusive of other countries in search of better opportunities. 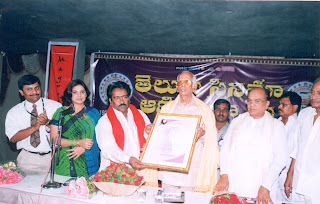 B. Venkateshwarlu - Journalist, Writer and Nandi Award Winner. 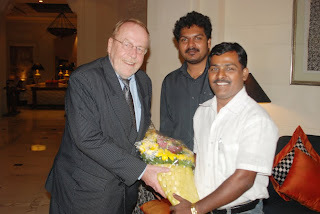 Recently Bulemoni Venkateshwarlu unonimously elected as President for Writers Guild of India. Ale. Devanand - Consultant working with Capgemini, Pune. 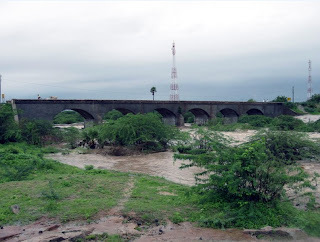 Bulemoni Venkateshwarlu (Telugu: బులెమోని వెంకటేశ్వర్లు) (born May 08, 1973 in Charakonda, Mahbubnagar district, Andhra Pradesh, India), often known as B.Venkateshwarlu and Srivenkat, is popular Telugu Cinema journalist and book writer also a film Director. 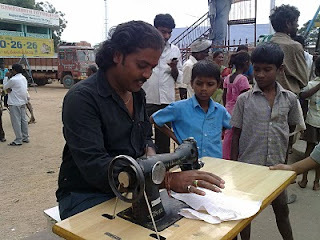 He is the son of B. Kanakappa, who is a Government Primary School teacher of Mahbubnagar District. 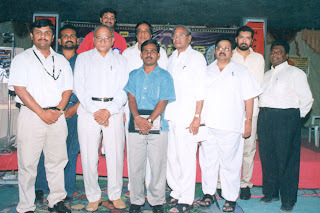 Venkateshwarlu is successfully continuing his Journalistic and media career from past two decades. 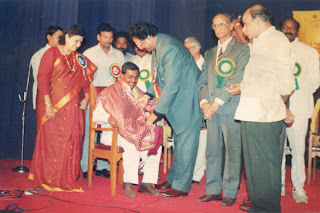 For his film research efforts he got prestigious Government of Andhra Pradesh instituted Nandi Awards twice as Best Book Writer and Journalist. 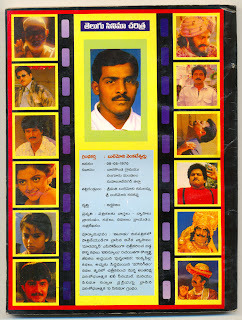 Venkateshwarlu was born to Bulemoni Kanakappa and Bulemoni Kamalamma. 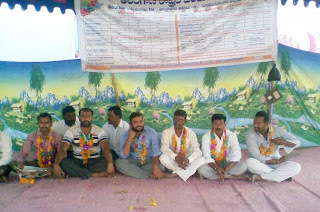 Venkateshwarlu did his schooling at Government Primary and High schools of Charakonda village, and later he went for Narayanpet of Mahbubnagar district for higher studies. 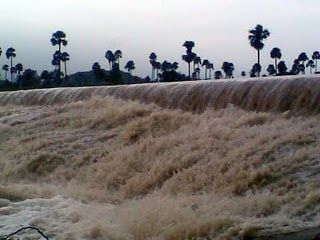 He completed his intermediate in Government Junior College, Narayanpet and Bachelor degree in Hyderabad. 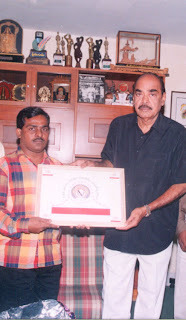 After that he completed his diploma in Journalism in Eenadu Journalism School, Hyderabad, also completed Diploma in Screenplay writing in Doordarshan Kendra, Ramanathapur, Hyderabad. He completed his Diploma in Film technology from world famous institute Fullsail, USA, in 2008. 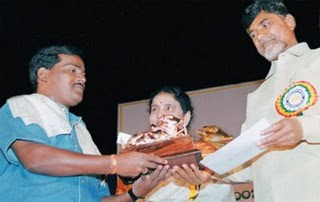 Venkateshwarlu has married Srilatha Kaveti on December 13, 1996, in Amangal of Mahbubnagar District. 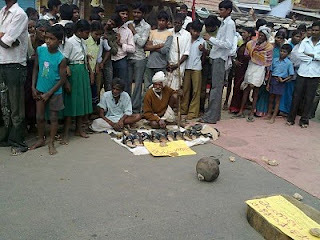 He has two children Manvitha (daughter), and Kushalav Kumar (son). Venkateshwarlu used to be a good artist in painting, singer also an play writer and play director in his school and college days. 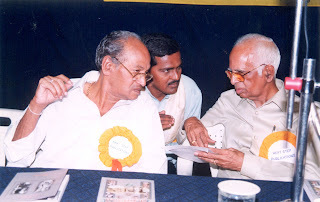 He did exclusive research on Telugu Cinema and he wrote ‘Telugu Cinema Charitra’ (1997), and ‘Telugu Cinema Vythalikulu’ (2002) books. He has published and released those books with his own Nextstep Publications & Entertainments in respective years. 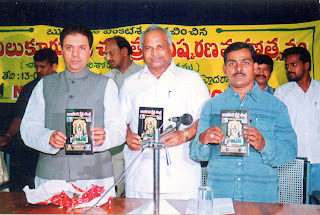 For these two books he got prestigious Nandi Awards from Government of Andhra Pradesh. He also had written another research book on Chilkur temples history as ‘Chilkur Kshetra Charitra’ in 2004. This is the first full fledged research book on Chilkur Temples or Chilkur Balaji Temple. 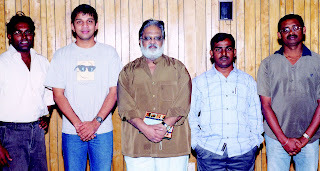 In 2005 Venkateshwarlu directed ‘Trivarnam-Every Indian Heartbeat’ patriotic video album in Telugu. 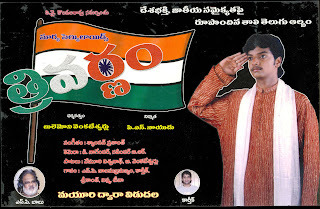 This is the first patriotic video album in Telugu. This album gets good response in all over abroad countries. 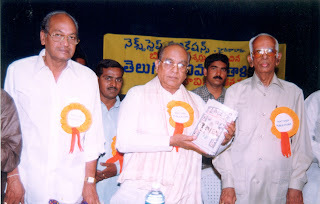 Venkateshwarlu had written a book on the history of Telugu Cinema titled Telugu Cinema Charitra in 1997. 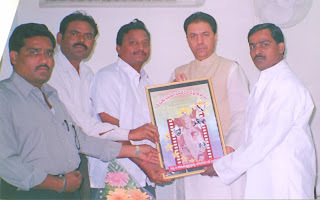 He has written another book on the legendary persons of Telugu Cinema titled Telugu Cinema Vythalikulu in 2002. 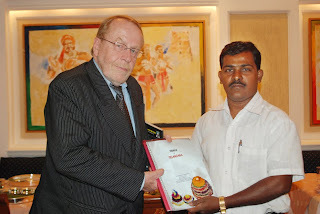 Venkateshwarlu has written a devotional book on Chilkur Balaji Temple titled Chilkur Kshetra Charitra in 2005. 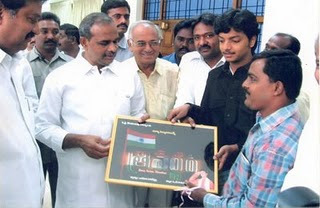 Venkateshwarlu Directed first patriotic video Album in Telugu title “Trivarnam-Every Indian Heartbeat” in 2005. Released by Aditya Music India Limited, Hyderabad. He Directed a Television series of “Alajadi” in 2006. 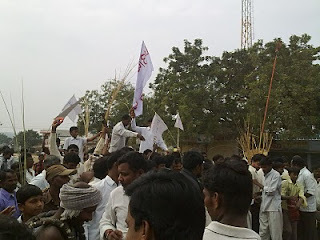 Telecasted in MAA TV. 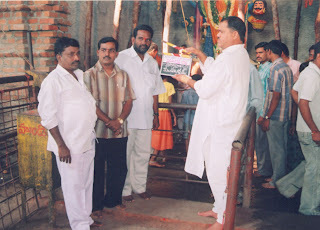 He also Directed a documentary film on Mysigandi Temples, Kadtal (Mahabubnagar District) titled “Mysigandi Kshetra Charitra” in 2006. 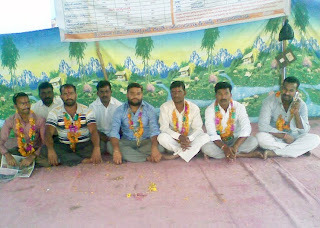 Released by Temple. 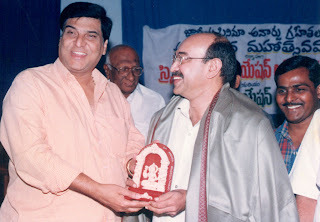 Venkateshwarlu received prestigious Nandi Award from Government of Andhra Pradesh as Best Journalist and Best film Critic in 1997 and 2002. 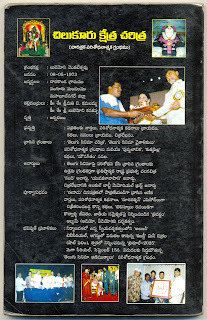 He had received an Award as Best Writer from Yuvakalavahini Cultural organaisation in 1997. Best Artist (Painting): He also received a Rajeev Gandhi Memorial Award as Best Artist for his painting of “Un-employee life” from Youth affairs, Government of India, in 1995.